Everett is easy to reach and has a lot to offer. 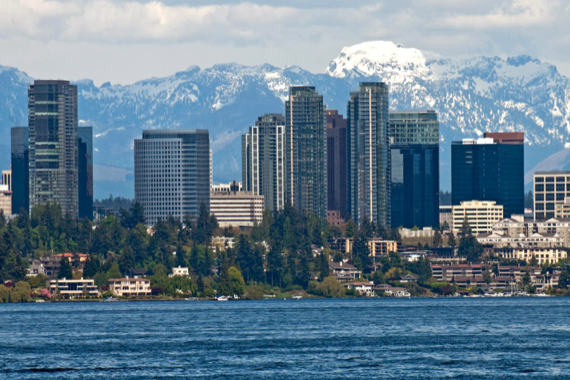 Directly off of Interstate 5 to the north of Seattle, it is home to Boeing's assembly plant (the largest building in the world by volume), the largest public marina on the west coast, an international shipping port, a U.S. Naval Station, and the Xfinity Events Arena. Everett's downtown retains the historical architectural charms of its origins as an industrial boomtown while offering everything modern residents and visitors could want. The City created a master vision for future central development in 2006 and is actively recruiting developers and investing to bring that vision to life. Fisherman's Harbor is the first phase of the City's master plan for 65 acres of mixed use development at Waterfront Place Central. On 12 waterfront acres, the Harbor will be a magnet for the public year-round, with public trails, a dock walk with access to the water, and a public plaza with fountains. Three private developers have signed on to bring the different features of the District to life: a 254 unit apartment building, a 142 room Hotel Indigo, and a retail building with a mix of restaurants (30,000 SF) and shops (20,000 SF). 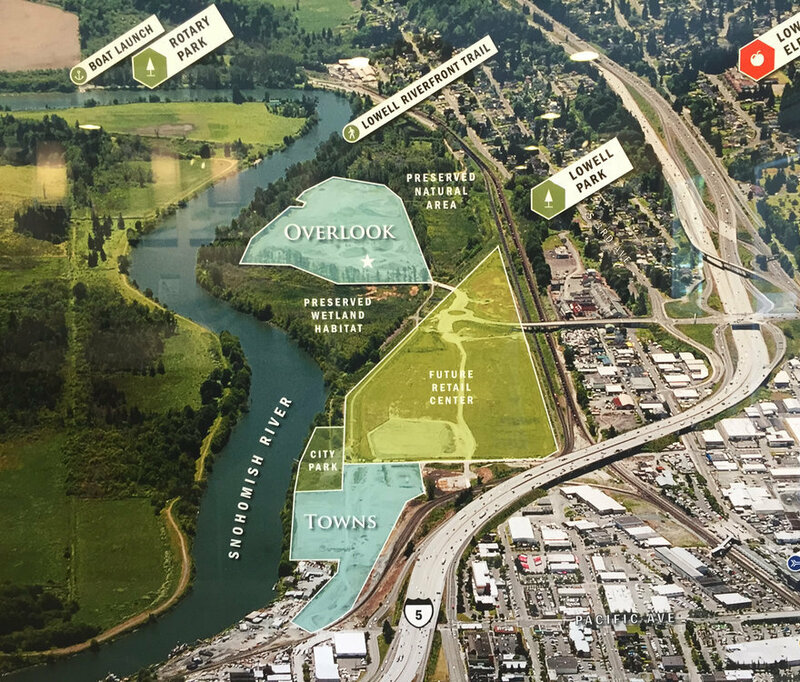 Everett's Riverfront projects start a new chapter for historically industrial acreage along the Snohomish River. The City spent decades and upwards of $90 million to clean up and prepare the land for development. The plan includes residential development of both single family homes (235 total in the Overlook at Riverfront) and townhouses (190 in the Towns at Riverfront). A future retail center between the two housing developments will be comprised of more housing and a minimum of 400,000 SF of commercial space, with shops, restaurants, and possibly a movie theater. Additionally, the City is creating a new 3 acre park directly on the waterfront for all to enjoy. The Sound Transit 3 expansion will establish Light Rail service from from Lynnwood to Everett. The plan includes the construction of three new train stations at Southwest Everett Industrial Center, SR 526/Evergreen, and Everett Station. Light Rail service will provide a direct connection from Everett to Seattle, the Eastside, SeaTac Airport, and even as far south as Tacoma, easing commutes and tourism in both directions.